Even do-it-yourselfers can use some extra support sometimes—and that may include nutritional support. 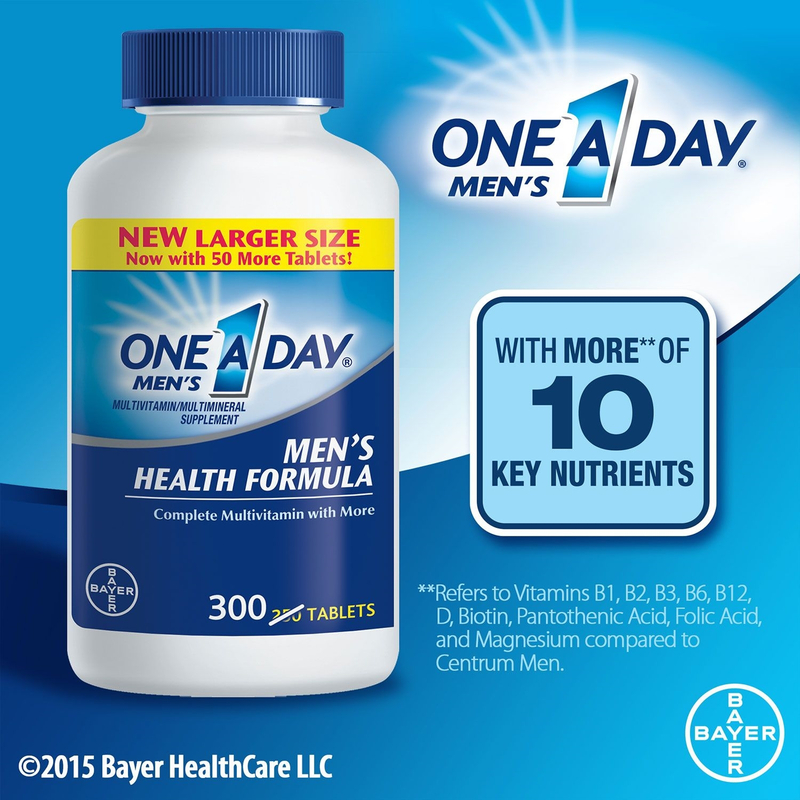 One A Day® Men’s Health Formula is a complete multivitamin specially designed for the leading concerns of men, such as helping to support heart health. 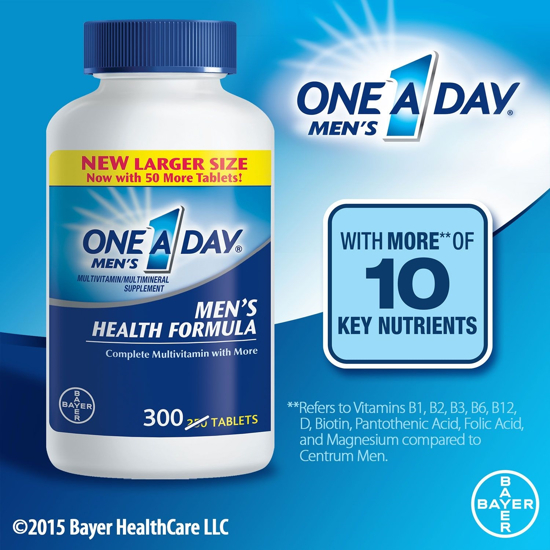 * And One A Day Men’s has more** of 10 key nutrients than Centrum® Men. 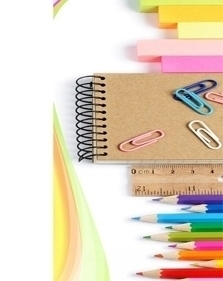 **With 25% DV more Vitamin D (700 IU vs. 600 IU), 10% DV more Thiamin (1.35 mg vs. 1.2 mg), 24% DV more Riboflavin (1.7 mg vs. 1.3 mg), 10% DV more Niacin (18 mg vs. 16 mg), 50% DV more Vitamin B6 (3 mg vs. 2 mg), 50% DV more Folic Acid (400 mcg vs. 200 mcg), 200% DV more Vitamin B12 (18 mcg vs. 6 mcg), 12% DV more Biotin (75 mcg vs. 40 mcg), 10% DV more Pantothenic Acid (16 mg vs. 15 mg), and 10% DV more Magnesium (140 mg vs. 100 mg) than Centrum® Men. †One A Day Men’s VitaCraves Gummies contains Vitamins B5, B6, B12, Folic Acid and Biotin. Genuine Bayer® 325 mg 500ct.